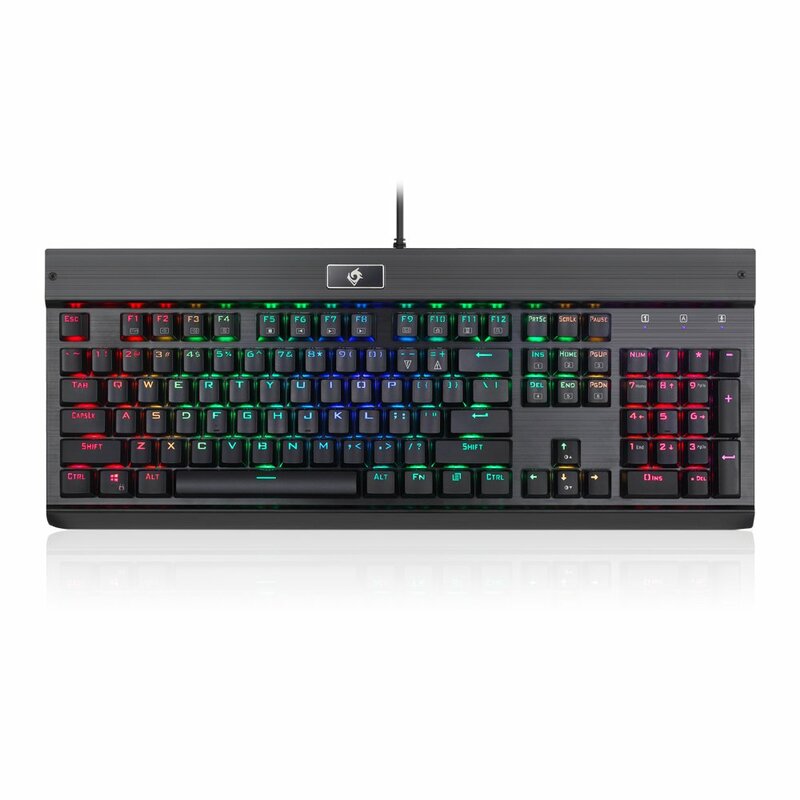 GAMING KEYBOARD; 104 Key Mechanical Gaming Keyboard with Custom Mechanical Switches-blue switch designed for longevity with greater durability and responsiveness. 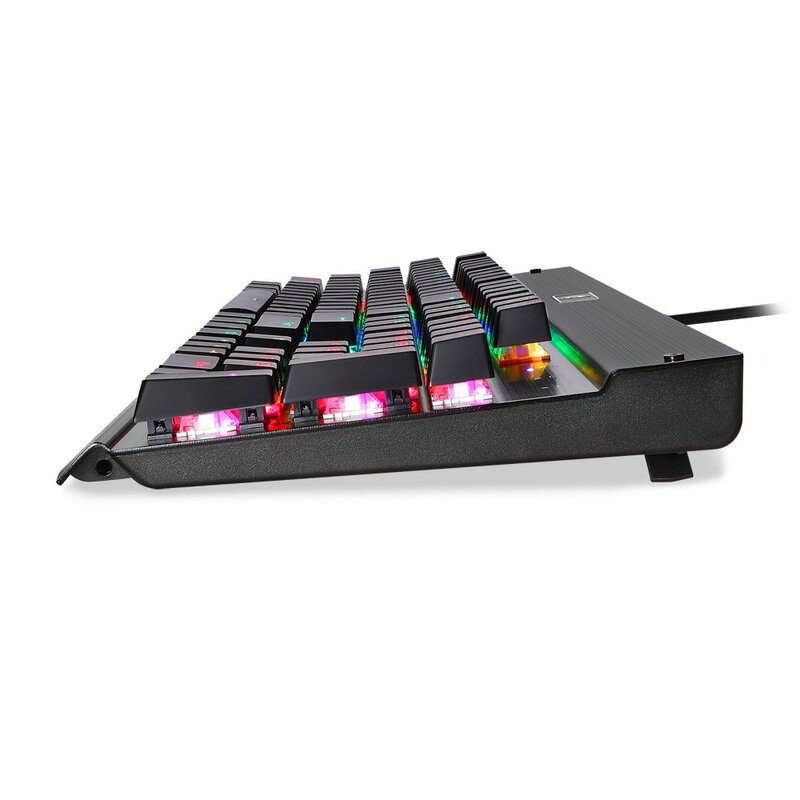 Fast mechanical keys with medium resistance, precise actuation, audible click sound, and tactile bump feedback. 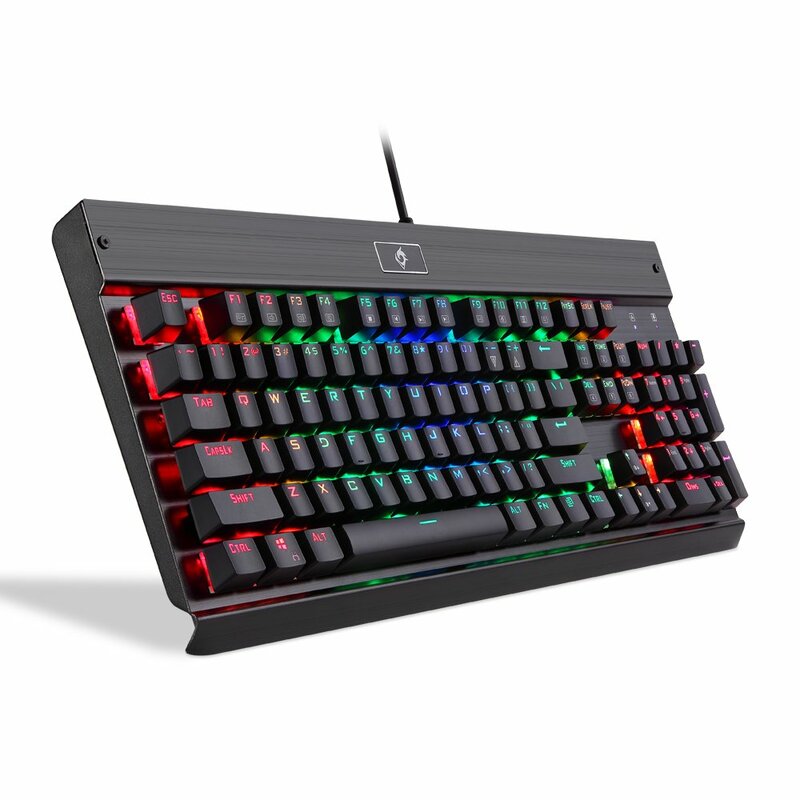 RGB ILLUMINATED KEYBOARD; RGB LED backlit mechanical gaming keyboard, the lighted keyboard comes with Double-shot injection molded keycaps offering crystal clear uniform backlighting and lettering that doesn't scratch off. 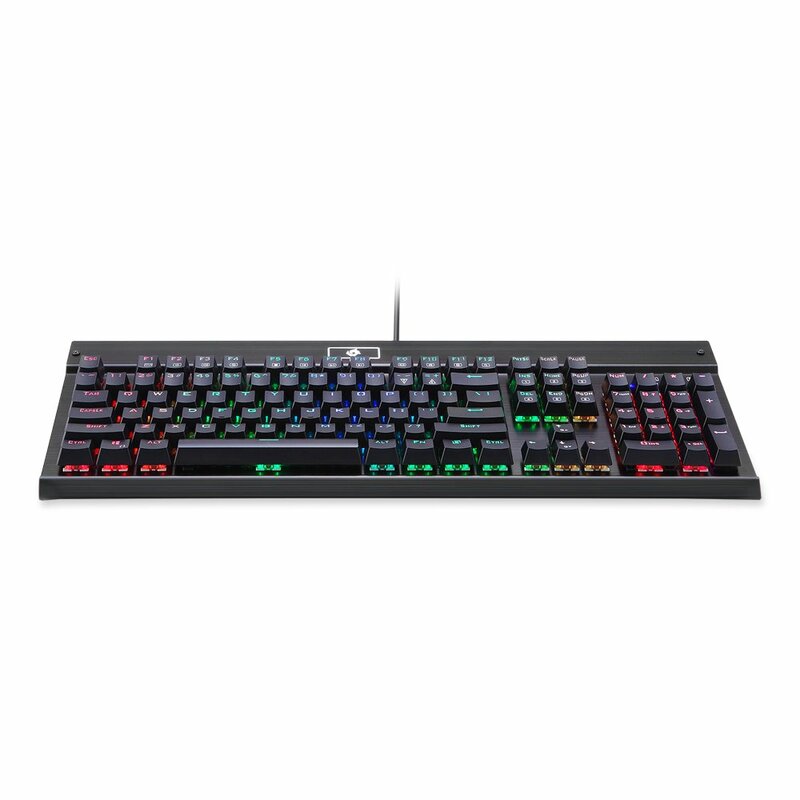 Featuring rainbow, RGB colors, 5 different lighting modes, 5 backlight brightness levels, breathing speed,user programmable RGB backlighting. 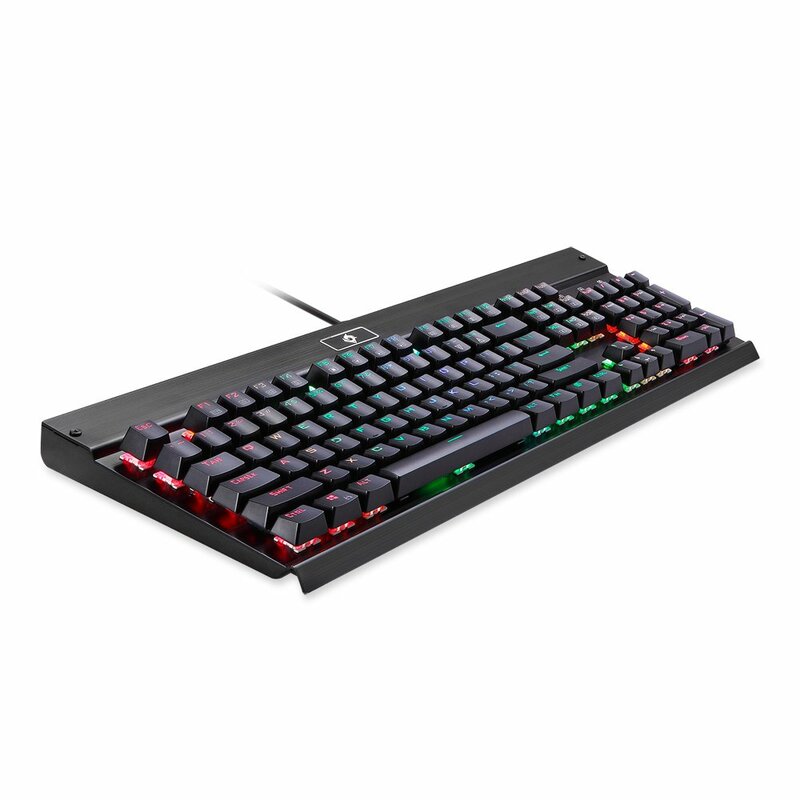 AIRCRAFT-GRADE ALUMINUM / ABS CONSTRUCTION; The PC Gaming keyboard is constructed of Aircraft-Grade Aluminium and ABS with plate-mounted mechanical keys and switchesthat stand up to tough industrial /office /gaming application.